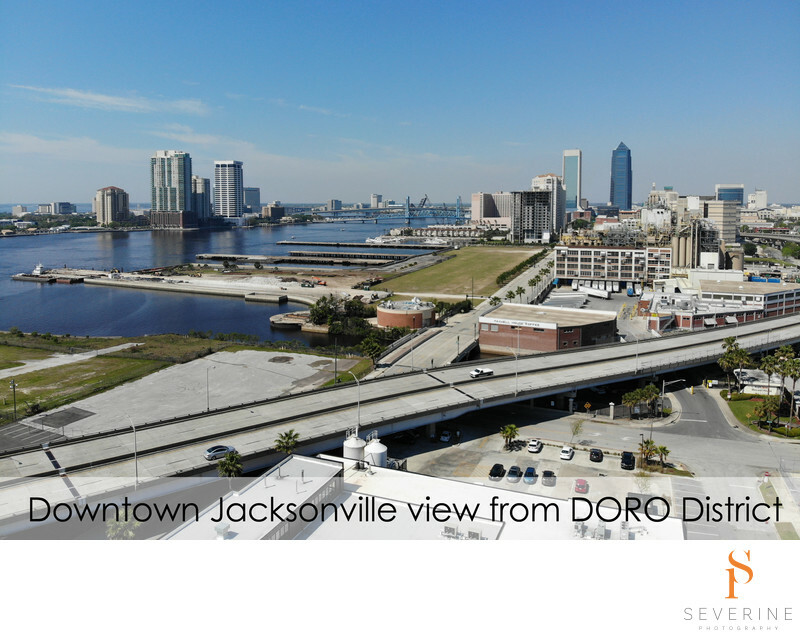 We took this aerial view of downtown Jacksonville from the stadium. It shows how close the Doro District is from downtown. Those aerial photos are important for real estate agent to show their prospective clients the exact situation of the listing. We created this view with a dji camera.